Over the past few years, the rate at which property values have grown has often been double that of the all-time historical average. That trend resulted in homeowners across the U.S. gaining significant equity that gives them more financial flexibility. 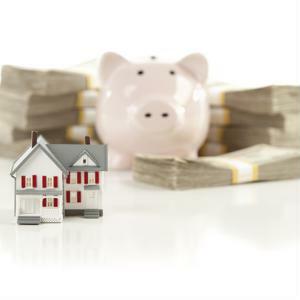 For many, those increases have brought them back to where they were prior to the economic downturn, while more recent buyers are getting a more immediate return on the investments they made after the recession hit. "About 1 in 10 properties were still seriously underwater." However, about 1 in 10 properties across the U.S. were still considered "seriously underwater" at the end of the first half of the year, meaning they were worth at least 25 percent less than the remaining balance on their mortgages, according to the second quarter U.S. Home Equity and Underwater Report from ATTOM Data Solutions. That represents about 5.5 million properties across the country. At the same time, though, 13.6 million homes were considered "equity rich," meaning they were worth at least 50 percent more than their outstanding mortgage balances, and that number represented nearly a quarter of all properties nationwide, the report said. This disparity can largely be attributed to the fact that many densely populated markets have seen prices explode in recent years, while others have often been left behind. "The share of seriously underwater properties has dropped well below 10 percent in bellwether housing markets such as California, Washington, Texas, Colorado and New York, but the underwater rate remains stubbornly high in markets where price appreciation has not been as strong during the housing recovery of the last six years," said Daren Blomquist, senior vice president with ATTOM Data Solutions. "Nationwide the number of equity rich homeowners is more than twice the number of seriously underwater homeowners, but the gap between home equity haves and have-nots persists because home price appreciation is certainly not uniform across local markets or even within local markets." It's worth noting that home price increases seen nationwide - while still high in comparison with historical norms - the rate at which that growth comes seems to finally be dropping down toward more normal levels, slowly but surely, according to the latest Mortgage Monitor from Black Knight Financial Services. In March, April and May, home price appreciation slowed down a little bit, marking the first time in almost four years that there were declines of this type over a three-month period. Likewise, about 2 in every 3 states and major metro areas saw such slowdowns in price growth. "Home prices were still up 6.3%." Ben Graboske, executive vice president of Black Knight's data and analytics division, noted that the most recent recorded decline - in May - came when the market is normally starting to heat up even more as the spring and summer buying season really starts to get underway, the report said. However, even despite that slide, home prices were still up 6.3 percent on an annual basis, well above the average of just 3.8 percent seen over the last 25 years. And this comes at the same time as mortgage rates have begun to moderate in the mid-4 percent range, meaning affordability is much easier to deal with for shoppers. What happens when equity rises? Because millions of homeowners have seen the values of their properties skyrocket since the early 2010s, most are now put into positions where they have a lot more financial flexibility, and many are choosing to capitalize on it in a number of ways, according to Bankrate. For instance, members of Generation X in particular have seen the net worth of their households skyrocket since the end of the recession. In 2010, the median household of that generation was worth about $39,200, and by 2016 that number had grown by more than 115 percent, to $84,200. During that six-year period, the median amount of home equity for Gen X - now mostly people in their 40s and early 50s - also more than doubled, the report said. It rose from $37,600 to $75,000. That has resulted in many starting to tap that equity with home equity loans, home equity line of credits, and cash-out refinances, the report said. That trend could continue as prices continue to rise at rates well above all-time averages. "For a while, households were not using their homes to take on more debt," Richard Fry, senior economist at Pew Research Center, told the site. Part of that was because the banks and creditors would not allow it. From the lenders' standpoint, there's evidence the period of real tight credit has passed. They are starting to open the spigot a little bit." Of course, it's not just Gen Xers that are getting the benefit of improving home equity, and the total value of all homes nationwide has grown significantly in recent months, a separate Bankrate report noted. Indeed, the first quarter saw the single largest year-over-year increase in total national equity since 2005, as equity increased 7 percent to about $5.8 trillion. Consequently, the average homeowner added some $14,700 in available equity in just 12 months. Some experts say tapping that equity sooner rather than later would probably be a good idea for those who are in good financial position overall, because mortgage rates - while becoming more stable in recent weeks - are still expected to continue rising over the remainder of the year, the report said. Consequently, obtaining a cash-out refinance or home equity loan could end up being a little more costly in the near future. As with any other type of major financial decision, it's important for homeowners to do their due diligence when thinking of the best ways to tap whatever equity they've built up in recent years. A bit of online research and a discussion with a financial professional can go a long way toward informing the best possible path forward with any such intentions, but it's worth noting that the longer owners wait in today's market to tap that equity, the more they're likely to have - for some time to come.